I’m counting down the days until the kids head back to school for what I’m sure will be another exciting year! 21 days to be exact. Between the after school activities, sports, and band (band is HUGE here) the kids will be busy and of course hungry. With lunch around 11am for the kids and then they get out a couple of hours later the first thing that they do when they get home is to start rummaging through the fridge & pantry. I get the inevitable question soon after… What can I eat mom? Hot Pockets are the perfect after school snack (or lunch if you can talk a teacher into letting you use their microwave) because they’re small but just enough to tide the kids over until dinner time a few hours later. 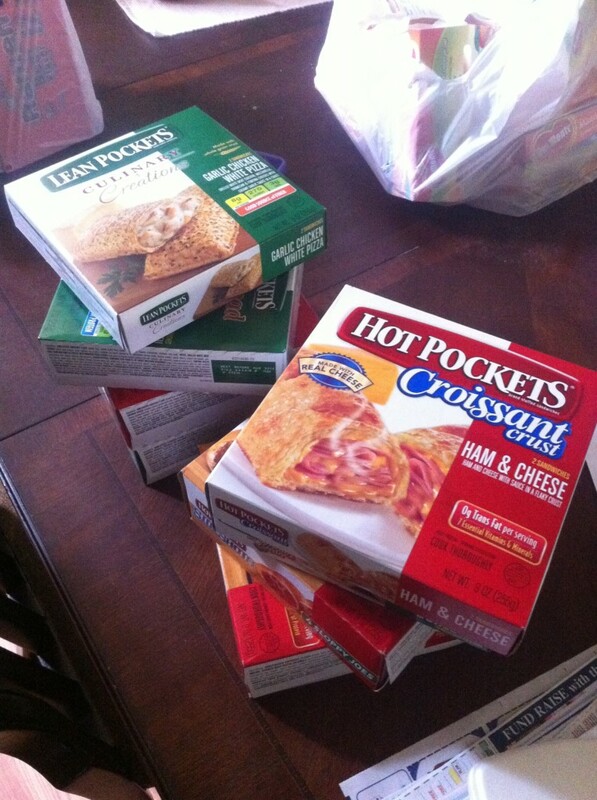 So to get ready for back to school I headed to Walmart to pick up some groceries, a few back to school supplies, and of course Hot Pockets! My kids LOVE Hot Pockets though and as soon as they see that I bought them they disappear quickly! And with so many varieties I doubt that they’ll ever get bored with them! 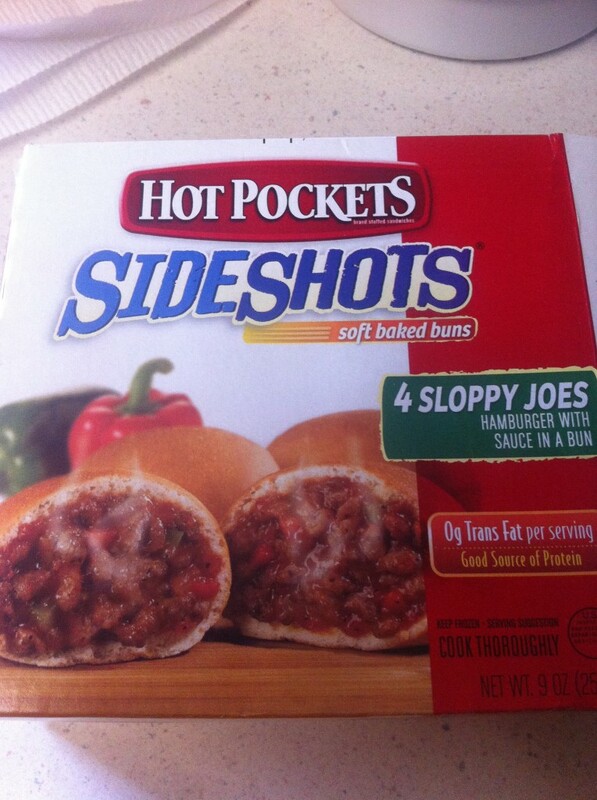 I think that within 3 days of buying them they ate 3 boxes… lunch every day was Hot Pockets. What I love is how fast & simple they are! Grab a box out of the freezer and pop ’em in the microwave for a minute or two and then eat them! They’re so simple that even my 10 year old has them all figured out and is making them for herself when she wants one. 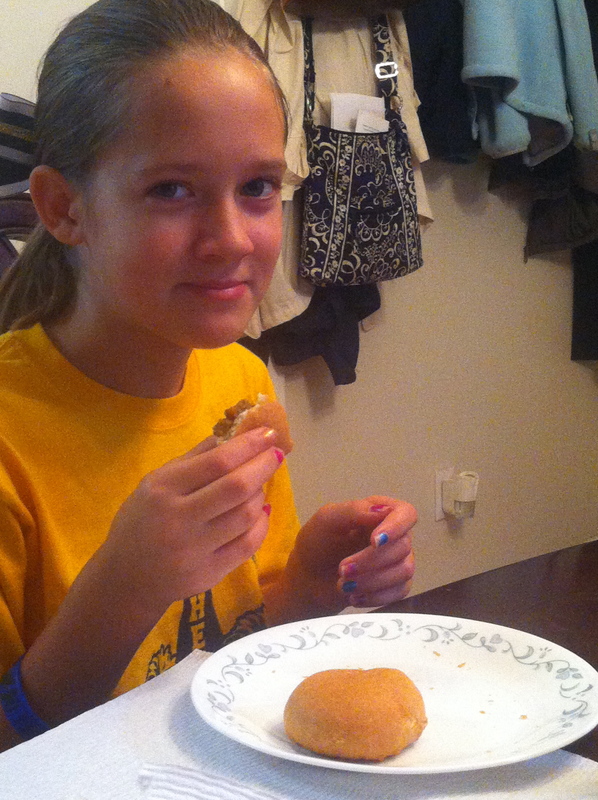 We picked up the sloppy joe Hot Pockets and it’s been her favorite all week! 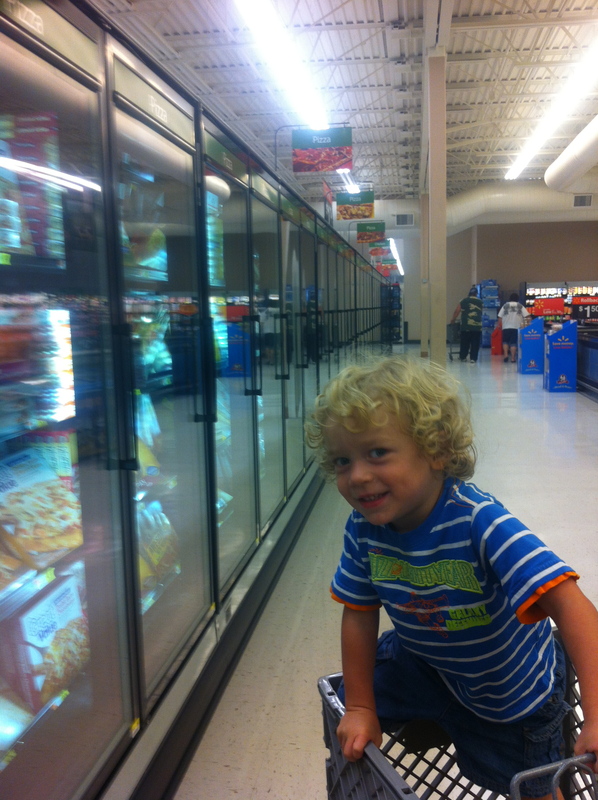 With so many options out there what is your favorite after school snack ideas for your kids? Next time you’re out shopping head to the frozen food department and pick up a package of Hot Pockets and give them a try! I’m sure that your kids will love them! That one right there…. 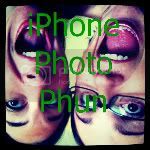 yea, that picture just above…. that one is my favorite one! 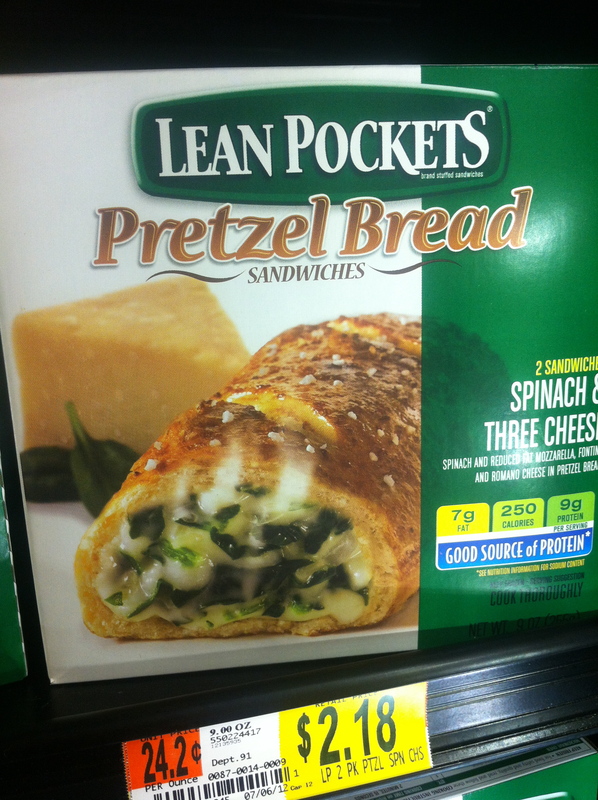 It’s like warm, cheesy spinach dip wrapped up in a delicious pretzel roll. This one is almost to good to share with the kids! Plain old ham & cheese…. that what my husband like. No taste adventure there! 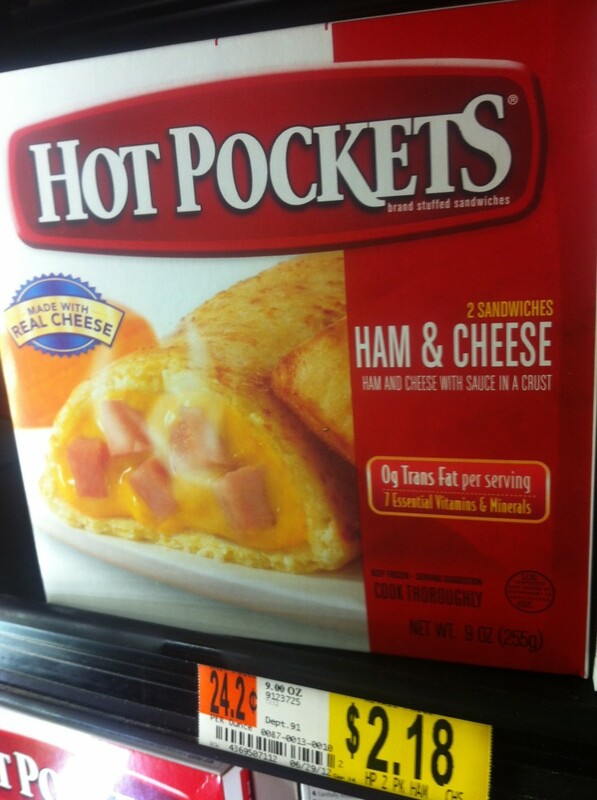 Want to know more about #HotPocketSnacks? Check them out on Facebook and Twitter! You can also check out our shopping trip in my Google + album! I am a member of the Collective Bias™ Social Fabric® Community. This shop has been compensated as part of a social shopper insights study for Collective Bias™ and Nestle #CBias #SocialFabric All opinions are my own! This week my daughter and I wrapped up our Simple Service Project that I wrote about last week and delivered them to the school! And let me tell you how much fun it was and how excited my daughter was to drop them off! When we first started the project I explained it to her and why we were doing it and she was immediately on board with it and couldn’t wait to get to Walmart and start shopping for our Winter Care Kits. Somehow we made it through Walmart in an hour but it took a few trips round and round the store…. but that was because we brought the busy toddler with us and there isn’t a seat belt in the world that can keep that kid contained! 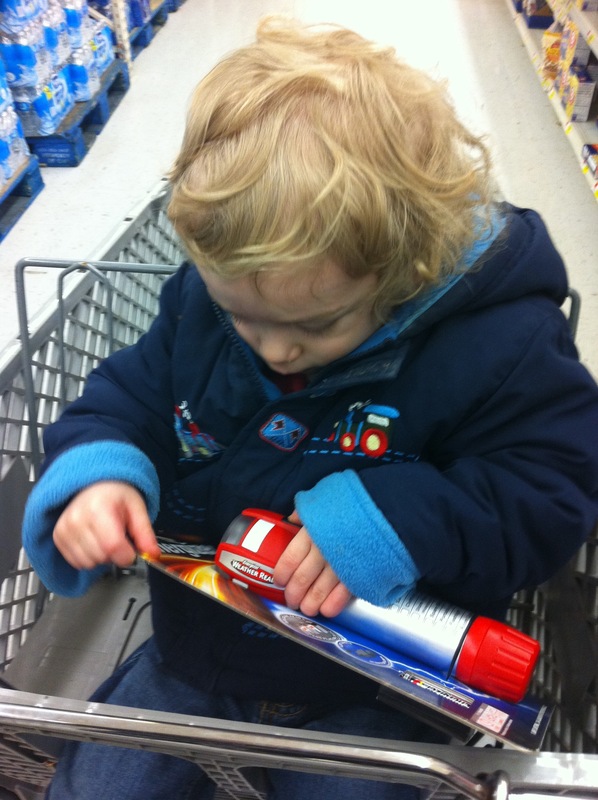 However, he did find the Energizer flashlight entertaining enough to let us finish our shopping. 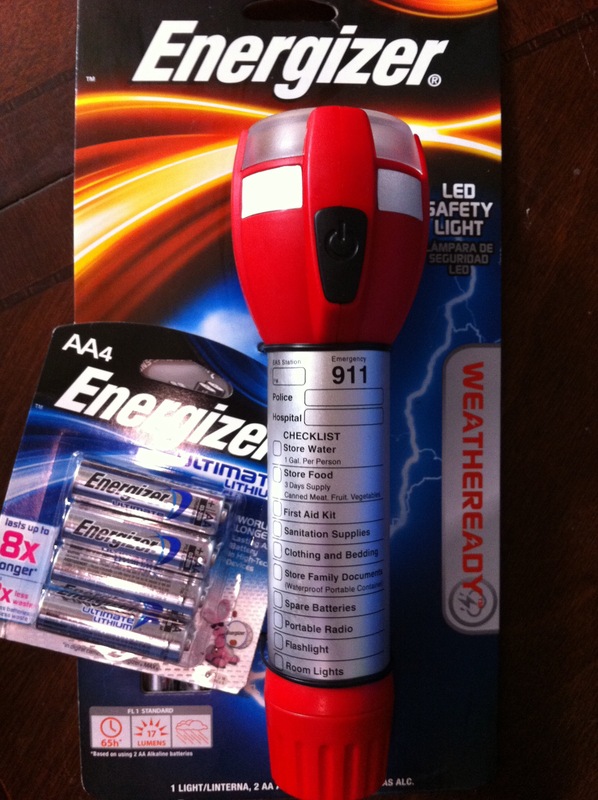 When we shopped what I kept in mind was that no matter what season it is here in Michigan the possibility of losing power is pretty high when there are storms…. wind, rain, ice, and snow can all make it dangerous. Some of the items that we purchased were meant to keep a child safe & warm during a time without power. We made it through the store and I couldn’t believe how much money we saved! 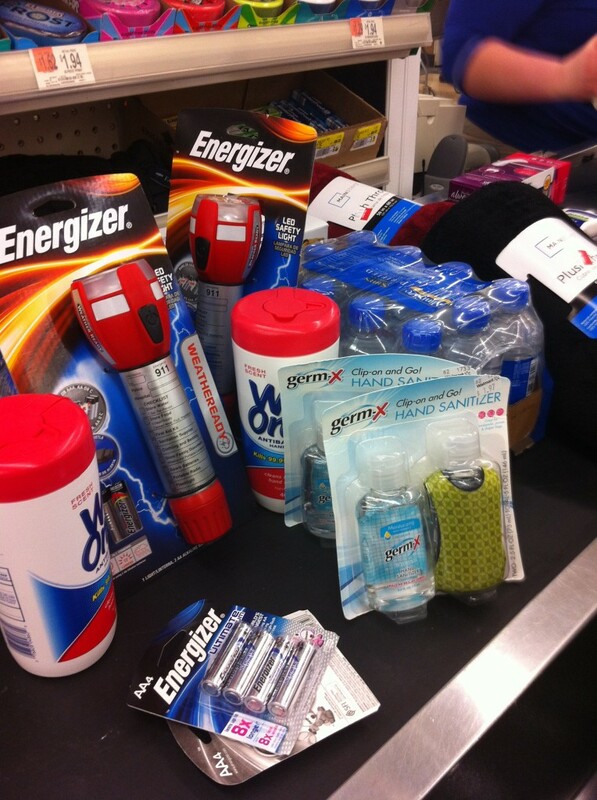 I had expected to have spent a lot more money but with everything that we bought for our Care Kits plus some extra things we needed at home I was surprised that it was all under $100! We live in a small community and we don’t have a homeless shelter but I do know that there are kids who are in need of some help and because of that we decided that the best way to help those kids is to donate our care kits to the school that my daughter goes to. 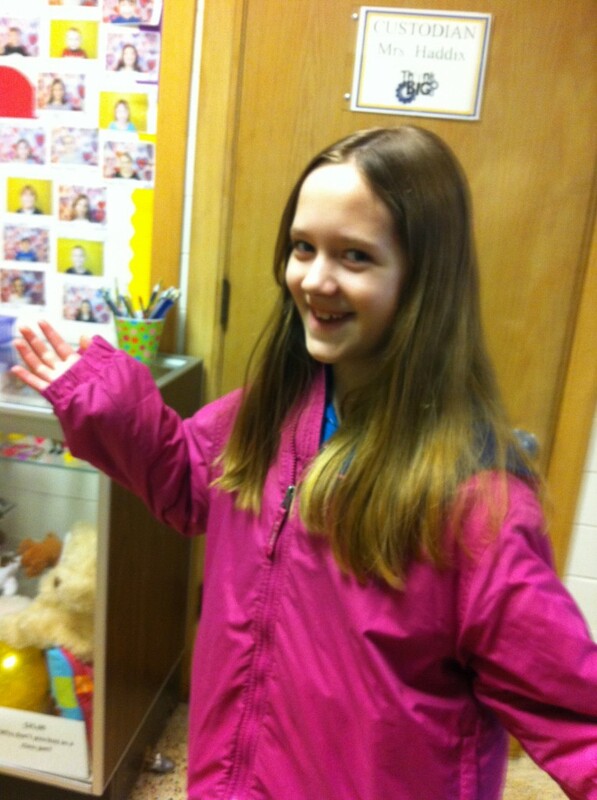 Lauren was pretty excited as we made our way into the school! Champions for Kids works to mobilize MILLIONS of people by providing training and resources to improve the lives of children in communities across America and beyond. Our goal is to mobilize 20 Million people by 2020. My hope is that they will check out the website and see what kind of projects that they can work on with the kids there at school. There is so much that the school, the teachers, and students together could do when they put their minds to it. What about you? Have you checked out the website? Will you be One of Millions? This shop has been compensated as part of a social shopper insights study for Collective Bias, but all opinions are my own.